Gaupe oil and gas field is located in production licence 292 of the North Sea, Norway. Image courtesy of BG Group. Gaupe was developed as a tie-back to the Armada platform. Image courtesy of AMEC. First production from the Gaupe field commenced in April 2012. Image courtesy of the Norwegian Petroleum Directorate. Gaupe oil and gas field is located in Blocks 6/3 and 15/12 of production licence 292 in the North Sea, Norway. It lies 225km away from the Norwegian coast and about 12km south of the Talisman-operated Varg field. Water depth in the area is 90m. "Lundin Petroleum bought the licence for the field in 2004 and BG was brought in as operator in 2005." Lundin Petroleum bought the licence for the field in 2004 and BG was brought in as operator in 2005. BG Norge holds a 60% interest, while Lundin holds the remaining 40%. The field partners are said to have invested about $415.2m in the development of the field. First production from the field was expected in late 2011 but was delayed as pipe laying activities were affected by bad weather in the North Sea. The field finally commenced production in April 2012. The field is expected to reach peak production rate of around 15,000 barrels of oil equivalent each day (boepd) in the third quarter of 2012. The Gaupe field consists of two prospects – Gaupe North and Gaupe South. Gaupe South was discovered by Statoil in 1984 by the 6/3-1 discovery well. The Gaupe North prospect was discovered by the 15/12-19 discovery well in May 2008. The field was originally named as Pi when discovered and it was renamed Gaupe in June 2010. The Gaupe North and Gaupe South reservoirs are located at a depth of 3,000m. The two reservoirs have a free gas cap overlying an oil zone. Most of the hydrocarbon reserves are found in Triassic Skagerrak formation and some are located in Middle Jurassic Sleipner formation. The field is estimated to contain approximately 31 million barrels of oil equivalents (mmboe). The major resource at the field is gas. Lundin and BG submitted the plan for development (PDO) of the field in May 2010. The Norwegian Ministry of Petroleum and Energy approved the PDO in June 2010. "BG Norge holds a 60% interest, while Lundin holds the remaining 40%." Gaupe has been developed through two subsea horizontal smart wells, 15/12-E1H and 6/3-A1H, which are tied-back to the Armada platform. The wells are located 6.3km apart. Independent flowlines connect the two wells to a manifold in the Armada platform. BG mobilised the West Alpha semisubmersible drilling rig in February 2011 to drill the two production wells at the field. The West Alpha rig, owned by Seadrill, can work in harsh conditions at depths of up to 600m. In September 2011, the Petroleum Safety Authority Norway (PSA) approved the use of Technip’s DSV Skandi Arctic vessel to conduct manned underwater operations on the field. By the end of September 2011, drilling of the wells was completed. The DSV Skandi Arctic vessel was used for carrying out saturation diving for tying in the two wells at the field. Pressure depletion is being used to recover hydrocarbons from the field. Production will include equal portions of oil and gas over the field’s lifespan. Initial production will target the oil zone followed by combined production from oil and gas zones. 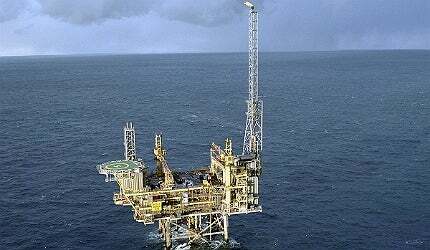 The Armada platform is located in block 22/5 of the North Sea about six kilometres from the field. It consists of a four legged platform and two export pipelines. A steel jacket supports the integrated processing and accommodation facilities of the platform. Produced oil and gas undergoes initial processing at the Armada platform. Gas is transported through the BP-operated central area transmission system (CATS) pipeline to Teeside. Condensate and oil is sent through the Forties pipeline. In January 2011, AMEC was contracted by BG to carry out the subsea tie-back of the Gaupe wells to the Armada platform. The work is part of a $220.64m (GBP140m) engineering, procurement and construction contract for all the facilities operated by BG in central North Sea. Prosafe was awarded a $56m contract in August 2010 to use Safe Caledonia semi-submersible accommodation facility at the Gaupe field. An engineering polymer solutions provider that continuously invests in research and development, Nylacast offers a full service, from advice and design to manufacturing customised materials and components for specific applications with full traceability.